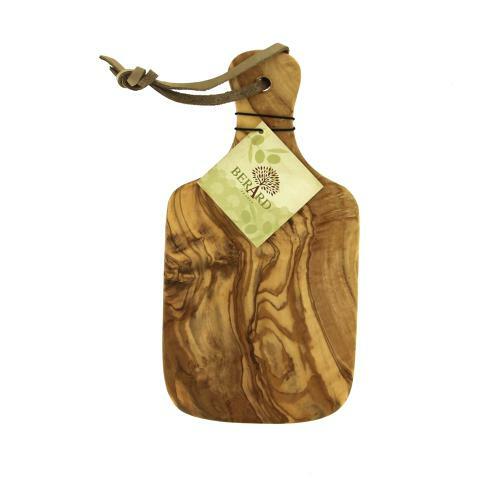 SMALL CHOPPING BOARD WITH HANDLE - Classic super thin chopping board that Berard are famous for. Smooth rounded edges make it tactile and easy to pick up, traditional format with handle and leather loop. Stamped with Berard logo. Natural olivewood: From sustainable timber, using old non-fruiting trees giving variations in veining from board to board.